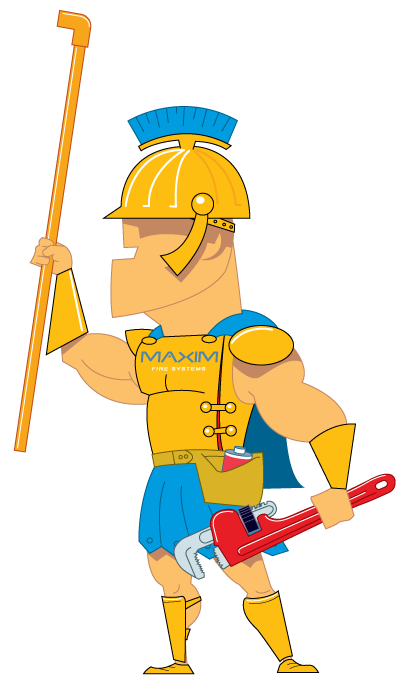 Maxim will help protect your investment by servicing your restaurant kitchen fire suppression system. Our expert technicians will complete the bi-yearly inspection professionally and in a short time without interrupting your business hours. Call one of our reps and tell us about your system needs. At Maxim we understand that the unexpected expenses make your budget shrink and put your manager skills at challenge. For us, prevention has been the best way to avoid extra and unexpected costs. That’s why we offer safety training to your staff at low cost. Your preventive maintenance is the key to avoid excess expense. Let us help you minimize your financial risk by training your staff how to look for issues in the system, recognize problems, and know what to do in case of emergency. Please contact one of our sales reps at your earliest convenience for details. One of the advantages our clients receive by signing our Annual Service Agreement is the locked in rates which are 25-30% less than our competitors. Our Service and Inspection Department employs highly skilled technicians that are certified and on call 24 hours a day. We are well equipped to respond to any emergency. LIFE SAFETY NOTE – DID YOU KNOW? Cleaning painted sprinklers could cause weakening of the glass “red” bulb which could result in an immediate or future premature discharge, flooding a resident’s unit or multiple units and personal property. This will typically result in a legal issue for the property Owner. Residential sprinklers discharge approx. 20 gpm each. The use of solvents or detergents can also get under the sprinkler cap and act like an adhesive which could delay or even prevent the sprinkler from discharging in the event of a fire. This obviously could be a huge liability for the Owner and replacement costs do not compare to the loss of life. Cleaning painted sprinklers can also draw a fine from the local and/or state fire marshal of up to $2,000.00.